I never thought I would be writing a third birth story. I thought I had my life all figured out and that I was in control of everything! Ha! That was not the case at all. 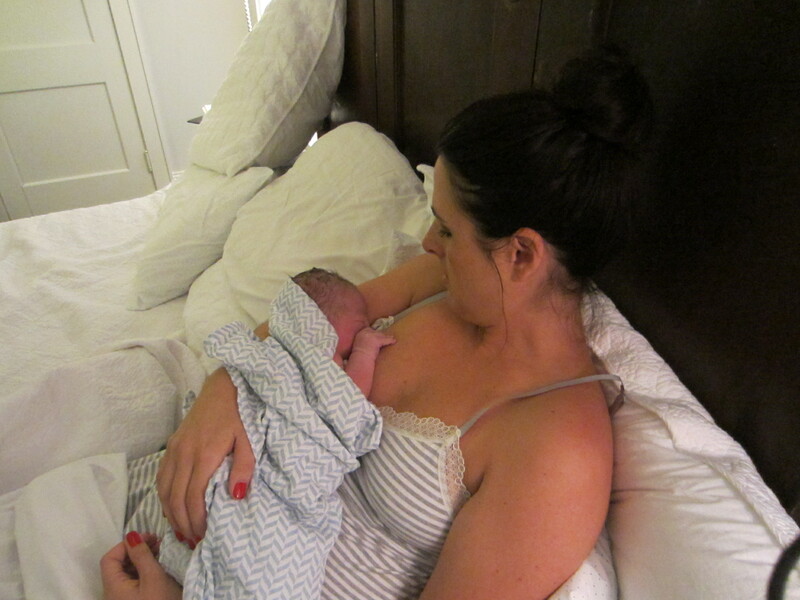 Reddington James was a surprise to Tyler and I, one that I was nervous about for most of my pregnancy. However, the moment I held Reddington in my arms, I knew my life had never been complete until Redd join us. It was like he was always meant to be here. I finally feel complete. I had been going to the Midwife group at GHS and had a lovely experience with them. I had planned to birth in the birthing center, but as my due date approached the birthing center was not complete. I thought that I would be fine birthing at the hospital and honestly had not made the final decision until the day of his birth to stay home and use a licensed Midwife. November 7th, 2014 started out a normal chaotic day in our household. At 6:45 the boys were up getting ready for school and we were making breakfast. I started have some pressure waves (contractions), but they were about 7 minutes apart and I could talk through them. However, getting the boys shoes on during pressure waves was a little difficult. Tyler and I dropped the boys at school and I thought to myself this is going to be our last day of just the four of us. I kissed my little wild boys bye and said a silent prayer of thanks for blessing me with such beautiful boys. I knew that when I saw them again, I would have one more wild boy to join them! 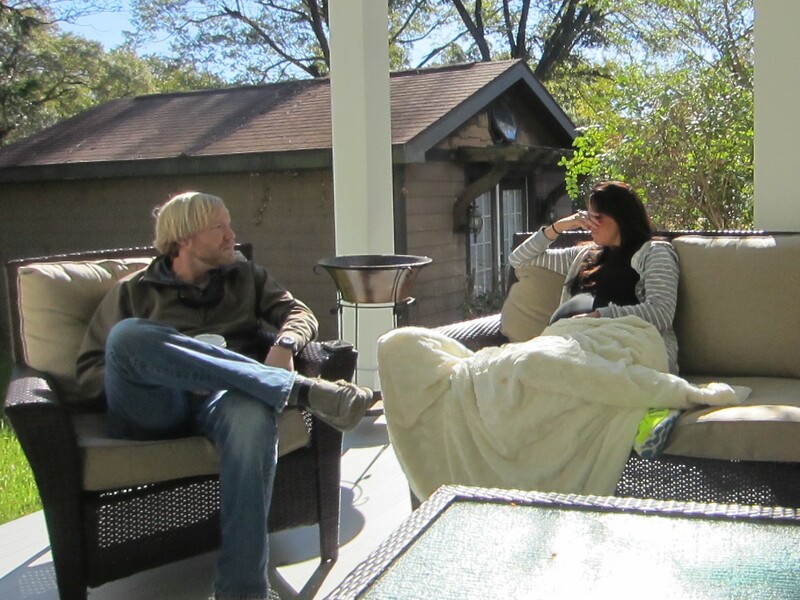 Julie arrived and Tyler and I had moved to the porch. We sat and talked for a bit and then my pressure waves started to get a little more intense. Julie asked what we were going to do about the hospital. 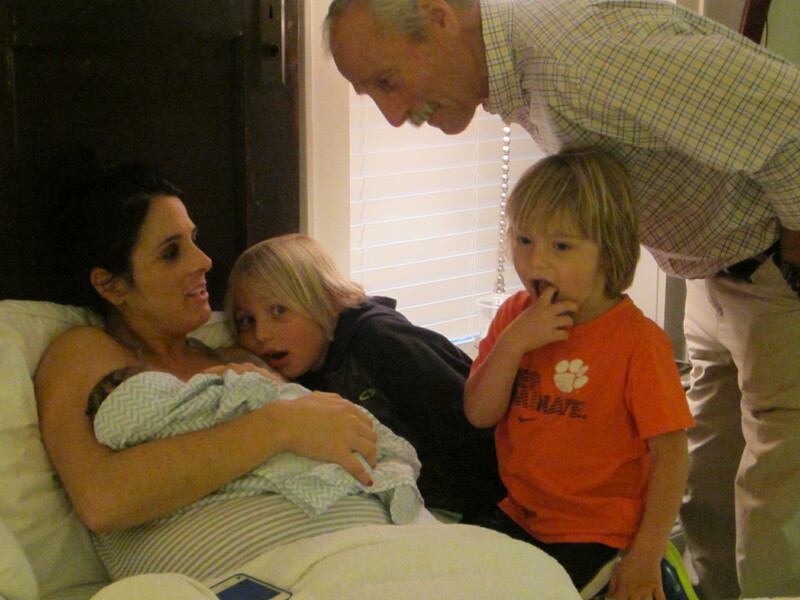 We had planned on birthing at the hospital because we did not want to disturb Preston and Crain, but with the boys at school and the day ahead of us I just could not imagine going into the hospital at that point. It just hit me that day that I wanted to welcome Reddington into this world in our home. 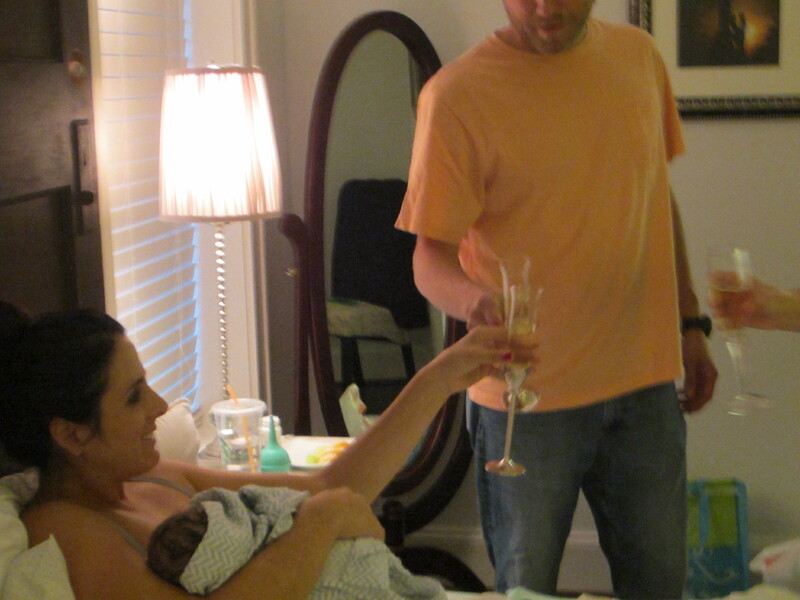 At my request, Julie called a wonderful midwife. She was so thorough during the entire labor. Checking Reddington’s heart rate and making sure I was okay. My contractions , I am calling them that now because there was no pressure about them at this point were very long and very difficult to breathe through. As I had them I counted on my fingers and Said “I love you , I love you , I love you” to myself. This reminded me that I was going to meet my little baby boy today! Well, the contractions kept on, I labored in the water for a while and then I had to get up and move. At this point, it was beginning to feel impossible to continue. At this point in labor I always lean on Tyler and I did it again naturally in this labor as well. He asked what I needed him to do and I remember I just said “hold me.’ Those of you who know me know that I am pretty independent , but during labor I always turn to Tyler because he calms me and makes me feel stronger. He kissed my forehead and kept telling me you can do this Brady, you can do this. I was trying to practice what Julie told me about not pushing too hard and letting the baby descend on its on during the contractions. I tried really hard to do that, but in the end labor brings out the true you and the true me was ready to push Reddington out! It’s hard for me to be calm during labor and I was calm for long enough, so I decided to dig deep and bring the strength on. Julie and my midwife suggested to change positions and to be in child’s pose to open my hips since he was having trouble descending. This was not my favorite position to push in and in fact my body naturally rose up to downward dog when I pushed because I just need that movement. Julie laughed later and said she never saw anyone push in this position. November 7th, 2014 was a beautiful day. I get a lot of questions on why I want to have a natural birth and to be honest I ask myself that during every birth (multiple times). Some ask why do you want to do that, it’s not like you get a medal. And they are right I get something so much more than that, it is just very hard to describe to you in words because there are no words to describe my emotions from the beginning of labor to when I welcome my baby into the world after the longest, most challenging test–emotionally and physically . It’s not about proving that I am strong, I truly believe all mothers are strong no matter how they bring their babies into the world. I don’t birth a certain way for me rest assured. Birth is this unbelievable process and I truly believe that God only allows you to witness a few miracles in life. To me Birth is a miracle. It is a miracle that your body as a women can withstand the discomfort and the physical and emotional exhaustion. It is truly a miracle that your body knows exactly how to bring your baby into this world. So to answer the questions I get on a regular basis. I cannot in words describe to you why I want to have a natural birth, it is something that is just in me. It is who I am and it is in Preston’s words “How my Mom rolls”. As I write this last birth story, I reflect over each of my boy’s births. They are my three most favorite days in the world. Each birth taught me something new about myself. Each birth brought Tyler and I closer together and each birth reminded me that God truly does show us miracles! I can’t imagine missing out on these three experiences because they each were truly amazing. Reddington’s birth was by far my hardest birth and also a beautiful one to end my birthing days with. I have been blessed to be surrounded by Julie who is the most supportive doula and woman and who always listens to my many freak outs! Our midwife was the most amazing professional and kept me calm through the entire process as well. I will carry those memories of each of the boy’s births forever. It is a beautiful miracle that God gifts us with to be able to bring your baby into this world and I thank God every day for bringing me these three crazy, wild angels. Today I say goodbye to the days of pregnancy and birthing and welcome many days ahead of wild, active days with Preston Tyler, Crain Thomas, and Reddington James. A special thanks goes to Julie Byers who has been with me through all three pregnancies and birth. You are truly a beautiful teacher and amazing Doula. I could not have done any of this without you! Thanks for always being here to welcome these boys into the world.